1)	Approval of the annual report for 2014. 2)	Approval of the annual accounting statements including the company’s profit and loss statements (profit and loss accounts) for 2014. 3)	Distribution of the company’s profits (including disbursement (declaration) of the dividends) and losses based on the results of 2014. 4)	Payments of remunerations and compensations to the members of the company’s Internal Audit Commission for 2014. 5) Election of the company’s board of directors. 6) Election of the company Internal Audit Commission’s members. 7) Validation of the company’s auditor. June 26, 2015, Rybinsk. - As goes the long-standing tradition, in anticipation of the All-Russian Day of Inventive and Rationalization Activities, NPO Saturn has tallied up the results of its inventive and rationalization activities (IRA) fulfilled in the course of the past year. The executives, engineering staff or workers engaged in the creative pursuit and putting into life of the most daring ideas, facilitate the introduction of new technological processes and honing those that already exist; development and enhancement of the design features of the company’s products, saving the resources and materials as well as cutting down production costs. June 22, 2015, Rybinsk. - NPO Saturn shares its experience of creating a quality management system fully compliant with the requirements of the Russian and European regulations and rules applicable to the design, manufacturing, repair and maintenance of aircraft engines. Recently, the interest in the NPO Saturn quality management system has been demonstrated by many Russian companies. At the end of May, the company’s quality direction hosted a dedicated seminar for the delegates from the High-precision equipment holding. And from 16 to 18 June 2015 the NPO Saturn quality management system was showcased at yet another seminar to the representatives of the Perm Engine Company (PEC). - the GTE-4RM, a high-performance gas turbine engine used as part of gas-pumping equipment for underground gas storage. June 9, 2015, Rybinsk. - On 9 June 2015, a formal presentation of certificates of achievement to the NPO Saturn employees having successfully completed “The Supply Chain Management” training course took place. June 5, 2015, Rybinsk. - “Seven billion needs. One planet. Use sparingly” is the slogan under which the people of the world are celebrating today, on 5 June 2015, the World Environment Day. The “green economy” principles are becoming an inalienable part of NPO Saturn’s (a company in UEC of the Rostec State Corporation) high-tech activity. Having fully committed itself to ensuring compliance with the requirements of the Russian and international standards in the field of environment protection and occupational safety, and having received appropriate international certificates, NPO Saturn has reconfirmed its social responsibility to the community, its partners, and its employees. June 3, 2015, Rybinsk. 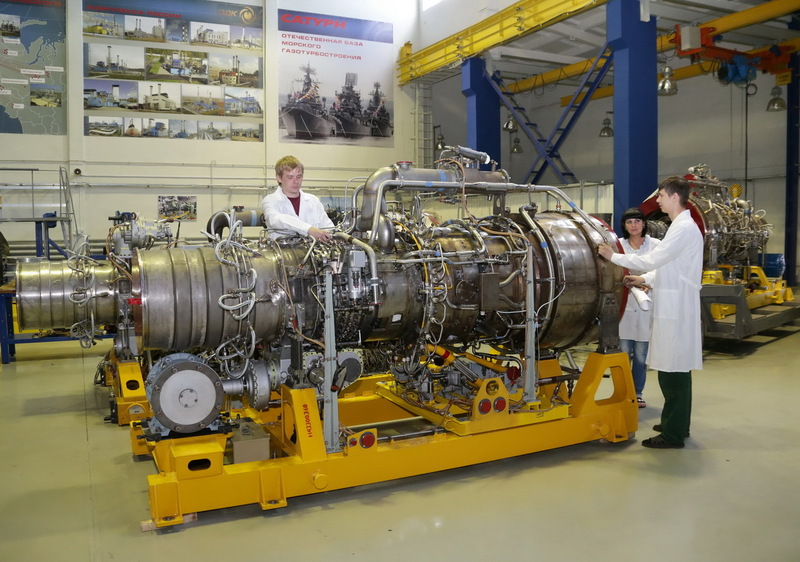 - On 2 June 2015 at the Yaroslavl Regional administration a working meeting between the governor of the Yaroslavl Region Sergey Yastrebov, the head of UEC’s Commercial Engines Division Sergey Popov, and NPO Saturn chief executive officer Victor Polyakov took place. It was the first meeting of the governor with the leaders of the company and the Commercial Engines Division since recent changes in senior management of this UEC division whereby NPO Saturn (a company in UEC of the Rostec State Corporation) is given the leading role. June 3, 2015, Rybinsk. - NPO Saturn has hosted a seminar under the title “NPO Saturn’s trademark quality management system”. The seminar was organized by the company’s quality directorate for the representatives of the companies in the High-precision Equipment holding.